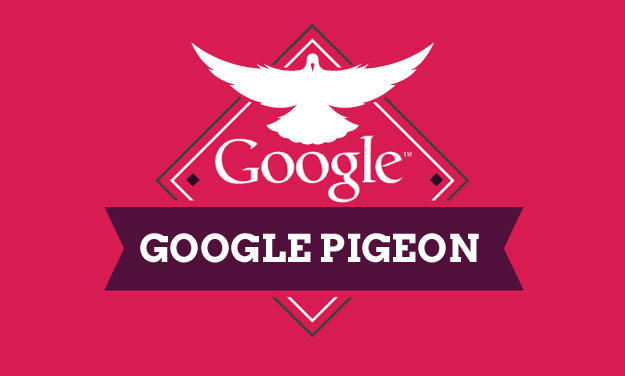 Friday 25th July saw the release of the Google Pigeon (dubbed Pigeon by Search Engine Land) , the largest local search algorithm we’ve seen for a while. Although not setting the digital marketing/SEO landscape alight with complaints as ranking on SERP dip and dive, Pigeon offers a prime opportunity for local businesses to make their stand on the results page. Represents Google’s new concentration on giving results to suit your specific location and concentration around your area and distance. Key directories in local search such as Yelp & TripAdvisor have seen an increased presence on page 1 and also search result influence. Some search results show Google retrieving Yelp listings ahead of official website, with them not ranking until page 3. Shifts in the presence of 7 pack local ‘places’ with Mike Blumenthal showing a sharp dip in their appearance in SERP. These changes could represent a huge challenge for local businesses, especially those which have been relying upon Google+ local packs for appearing on first page. On the other hand with decreased competition from non-local businesses, other small companies may find themselves in a much better position. Another thing we should consider when looking at the changes Pigeon has caused is the importance of getting Yelp & TripAdvisor listings up to scratch and keeping an eye on customer reviews. There is a constant and growing importance of others’ reviews in the consumer’s eyes influencing their behaviour towards a particular business- whether they progress with purchase or find an alternative. With review-based sites getting higher in the search results, comments will become more prominent and easier for searchers to find. Looking at Google’s comments to Search Engine Land this Pigeon algorithm is a step toward Google improving- honing its results based on specific location and with it a continued process of homing in on its users in order to facilitate these location specific results. Overall in the words of Dr. Pete “There is a pigeon, but we don’t know how big it is.” Much like others in the algorithm family there will no doubt be further Google Pigeon updates as well as results we are yet to see from this flyover. Have you seen fluctuations in local listings- in particular in Google Places results? Let us know in the comments below or feel free to send us a Tweet about Google’s latest bird. **N.B. The Google ‘Pigeon’ update has been confirmed by Search Engine Land in conversations with Google- but Google has not yet released a statement on the algorithm update so watch this space (We may be waiting until Matt Cutts returns).